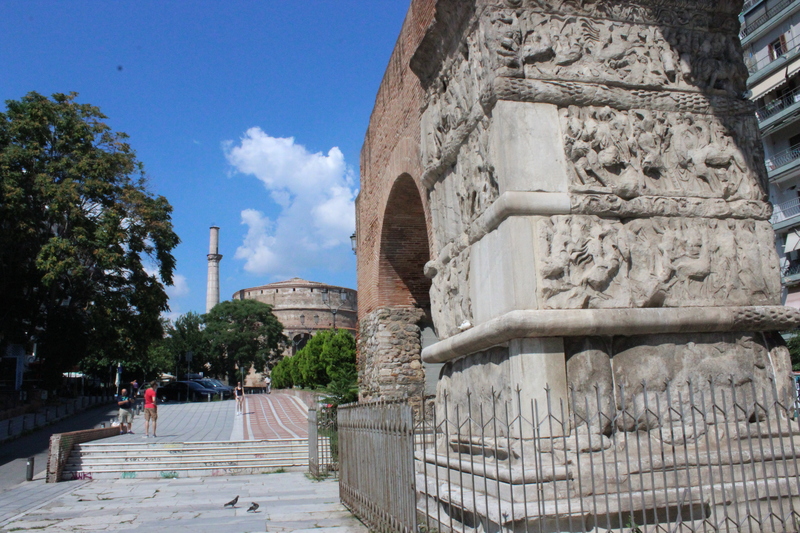 Hello from Thessaloniki! 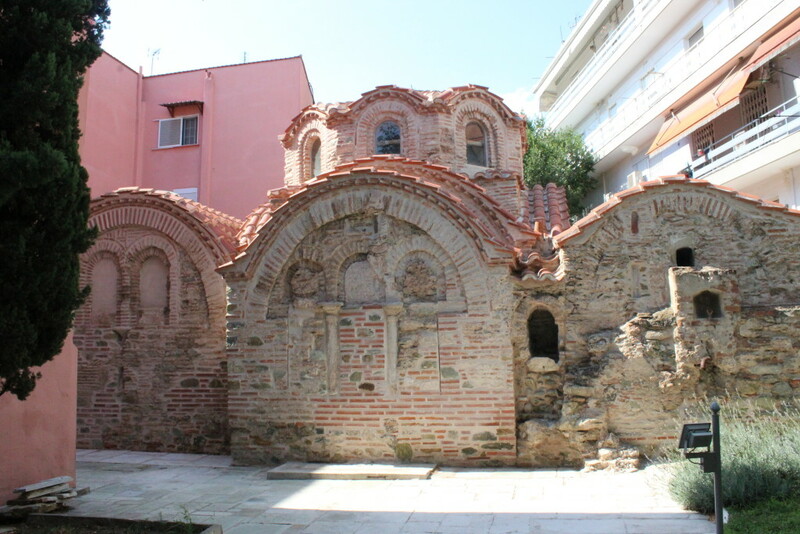 Today I would like to invite you to visit the Byzantine treasures of Thessaloniki. 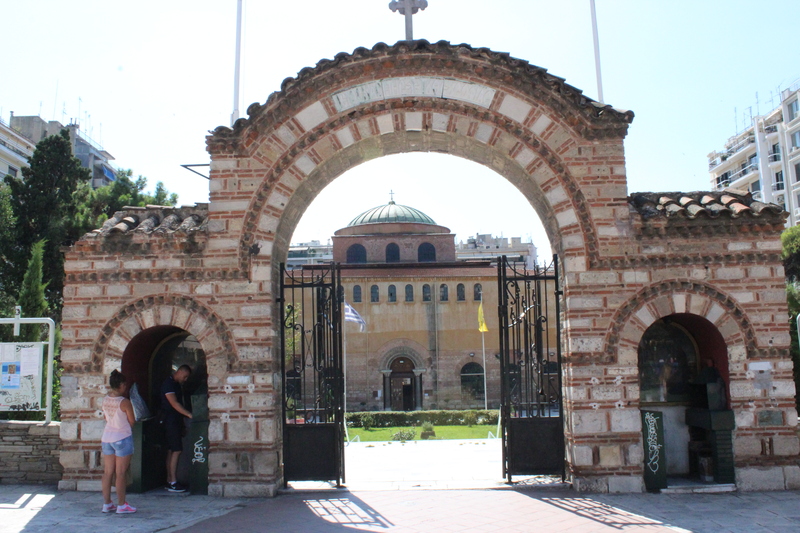 Founded in 315 B.C., Thessalonika, provincial capital and seaport, was one of the first bases for the spread of Christianity. 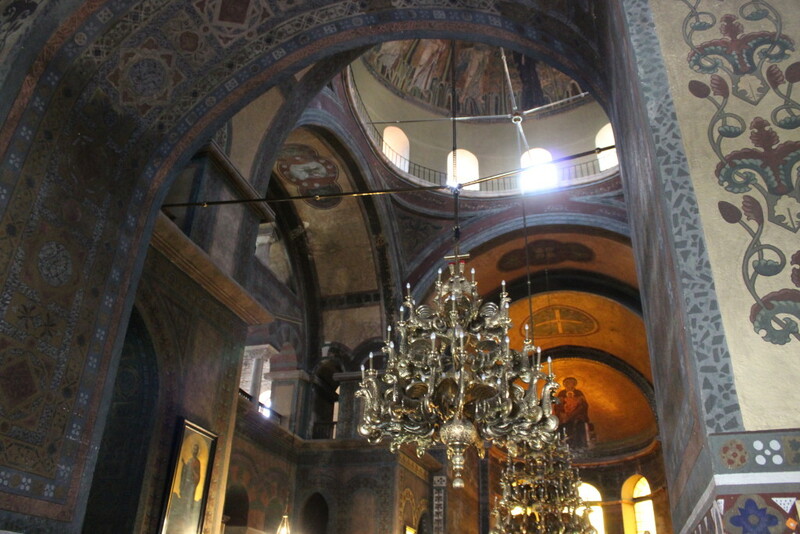 Among its Christian monuments are distinguished churches, built in the Greek cross-plan and a three-nave basilica plan. 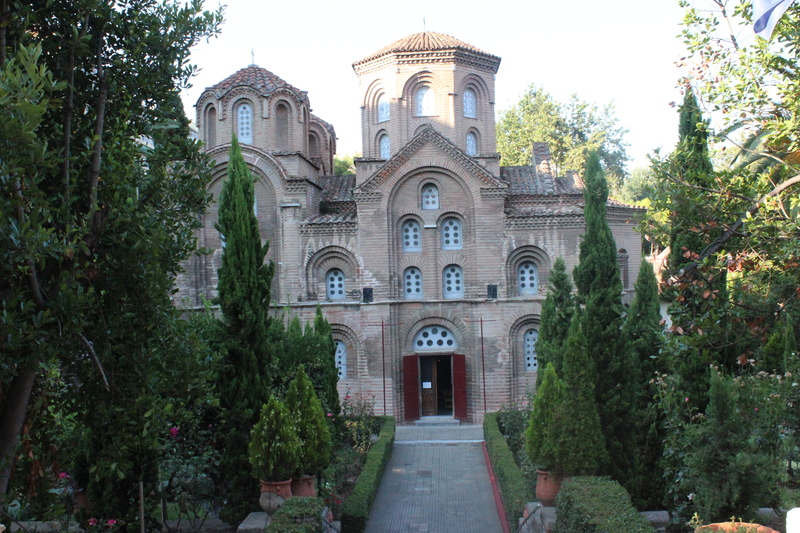 Constructed over a long period, from the 4th to 15th centuries, they thus constitute a diachronic typological series, which had considerable influence in the Byzantine world. 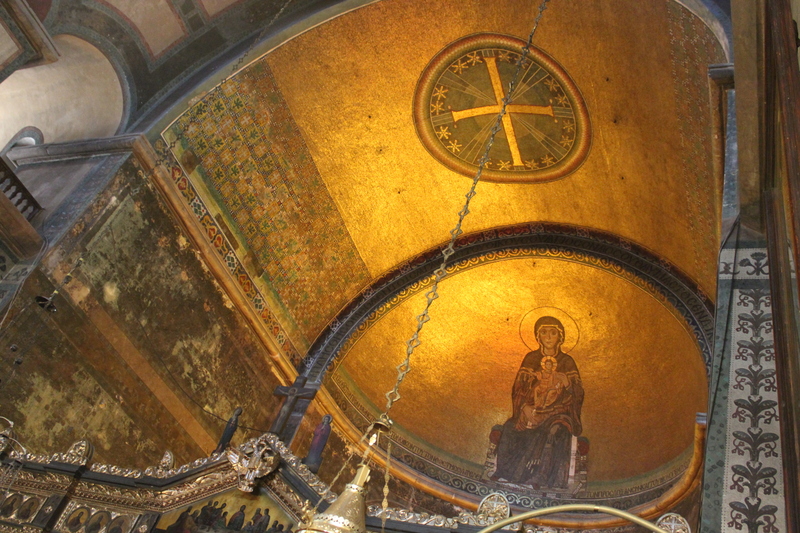 The mosaics of the Rotond, Saint-Demetrius and Saint David’s are among the great masterpieces of early Christian art. 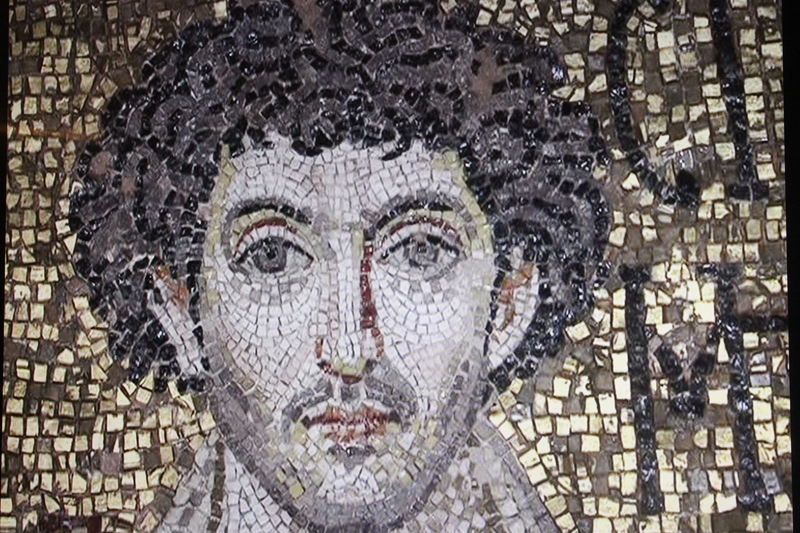 Lets’ visit some of the great masterpieces of early Christian art. Let us begin with the building that became the first Christian church in Thessaloniki – Rotunda of St. George. This building built by Galerius around AD300 was converted into a Christian church by Constantine the Great around AD330. 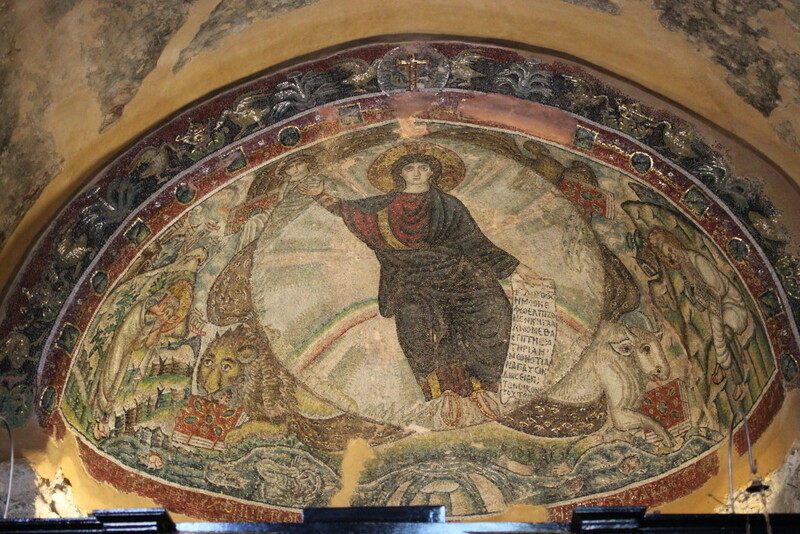 At that time, the dome was decorated with marvelous mosaics, many of which have been preserved and are among the finest examples of early Christian mosaics. 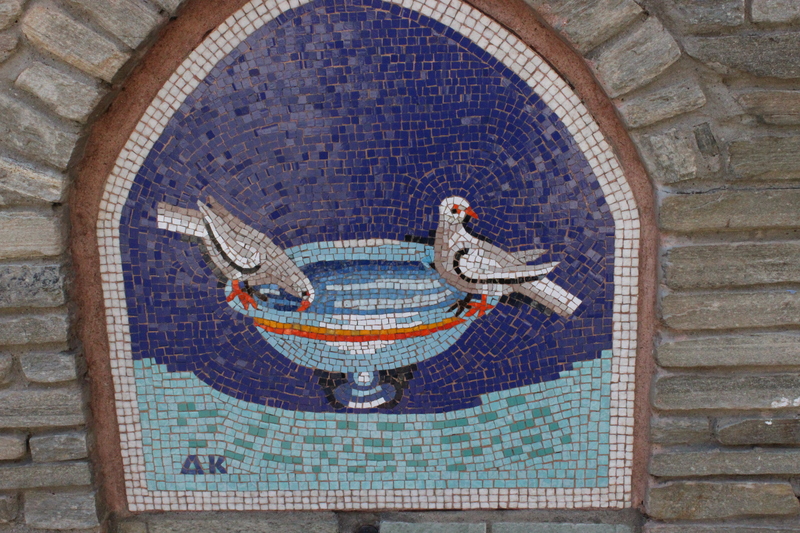 It is hard to see the details of those mosaics from the floor. The best way to admire them is on the TV screen located inside the Rotunda. The walls here are 6m thick. It is an impressive building. 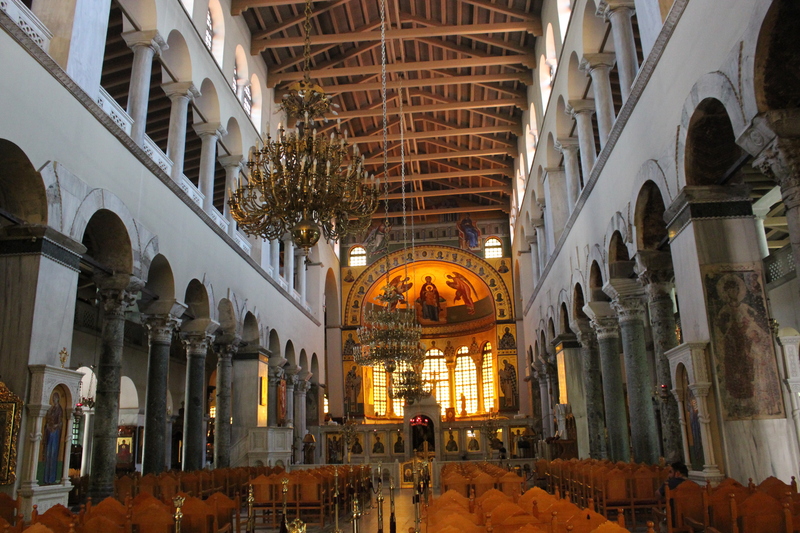 Both St. Sophia, one of the most considerable monuments of medieval Thessaloniki, and St. Sophia cathedral in Constantinople, were built in honour of Christ, who was recognized by the first ecumenical council of Nicaea 325AD, as the true Logos and Sophia (Wisdom) of God. Today it is believed that St. Sophia of Thessaloniki was built between 690 and 730. 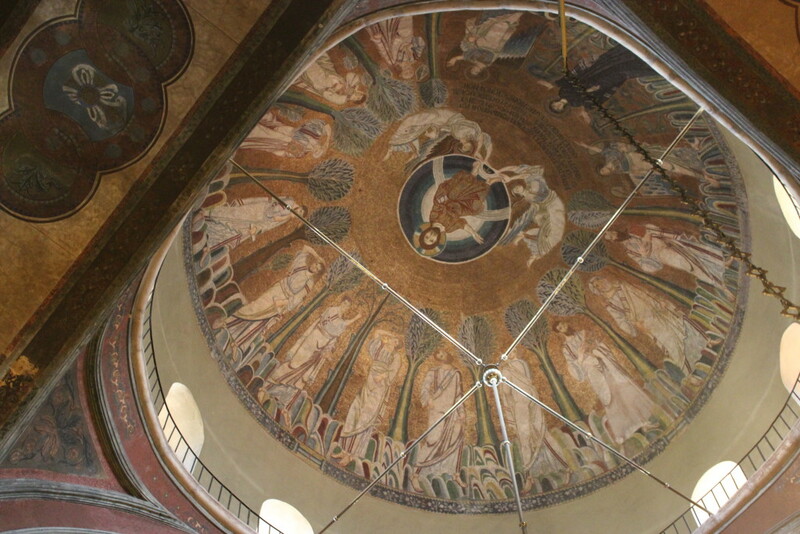 The great mosaic of the dome of St. Sophia represents the Ascension of Christ. 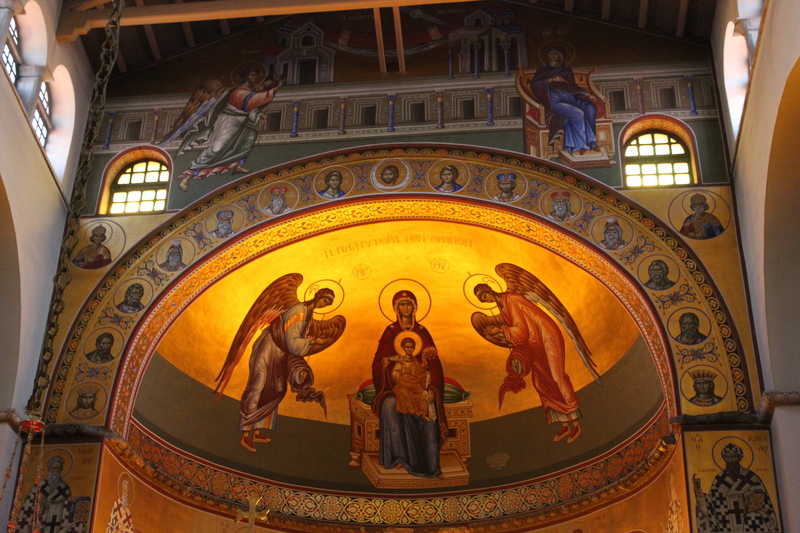 In the apse we see the Virgin seated on a throne and holding in her lap the infant Christ. This mosaic replaced an older one which represented a cross. The church was built during the iconoclastic age when representations of saints or divine personages in church was forbidden. The only way to portray Christ was through the cross. 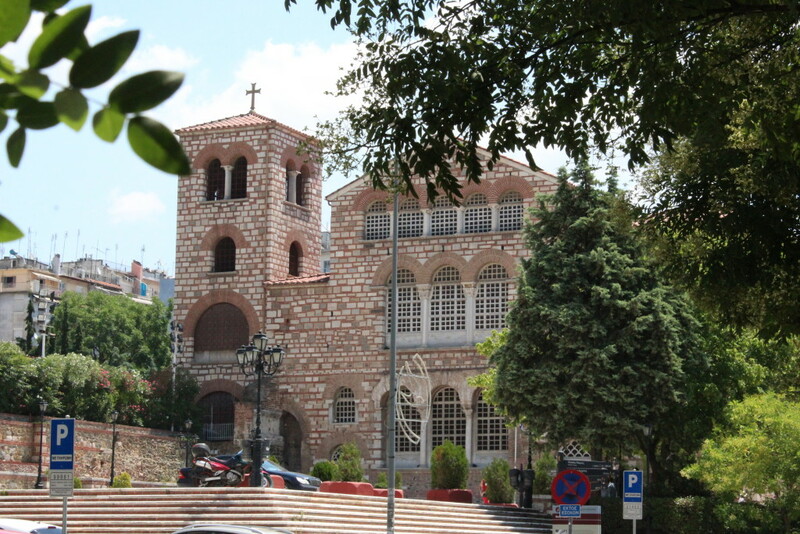 The Church of Osios David occupies a very important place in the history of architecture because it is an early cross-shaped domed type. 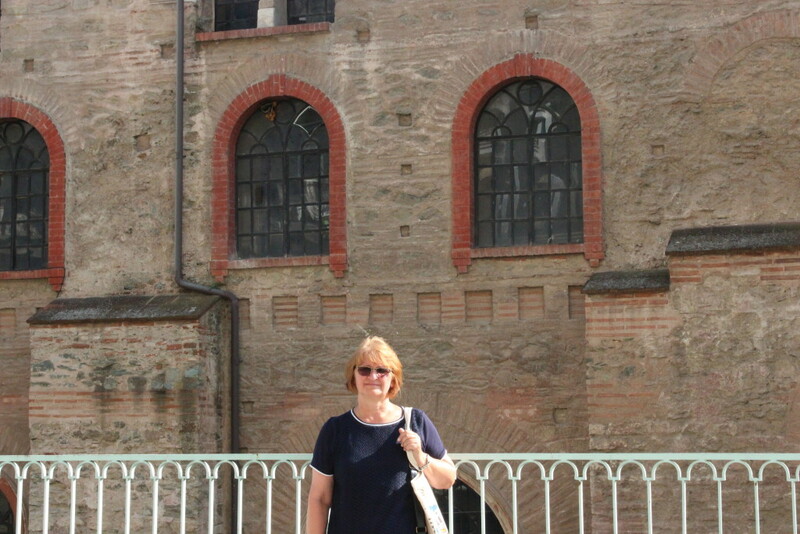 This church was built at the end of the 5th and at the beginning of the 6th centuries. Christ is shown young and beardless, seated on a rainbow. 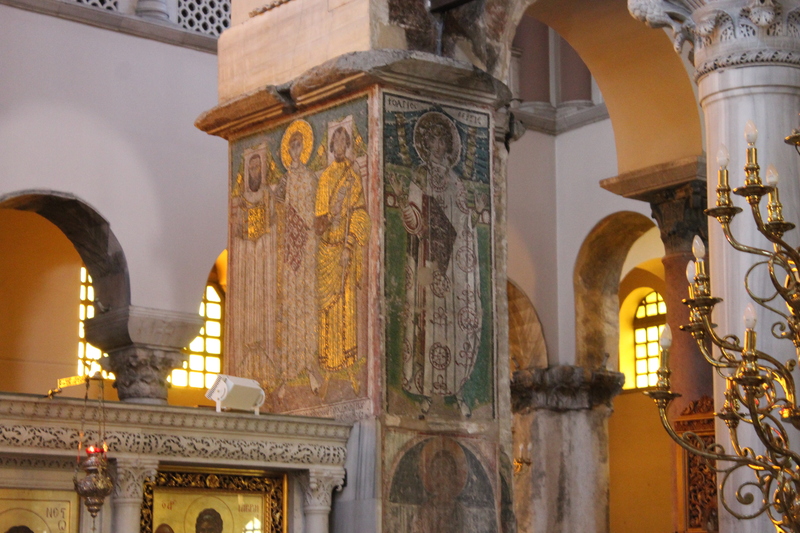 In the four corners are the symbols of the four Evangelists: the Angel, the eagle, the lion and the calf. The four rivers of Eden flow under Christ’s feet. At the bottom left is the Prophet Ezekiel and to the right the Prophet Habakuk. 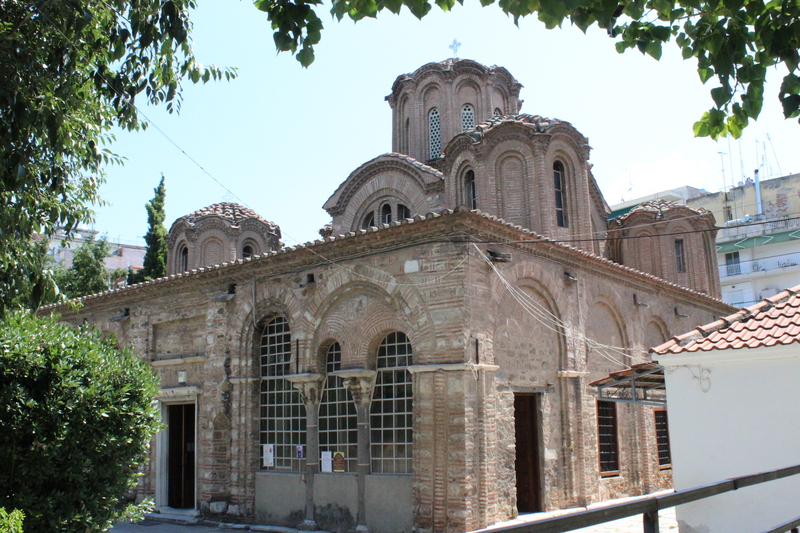 The most important and the most impressive of all churches in Thessaloniki is St. Demetrius’ Church built on the site of the martyrdom and tomb of St Demetrius, patron saint of Thessaloniki. 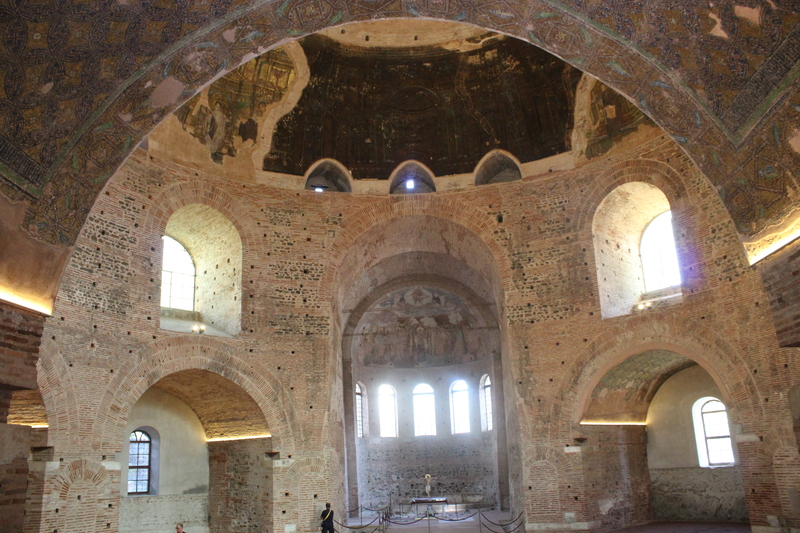 After the fire in 1917 the church was restored to reproduce the 7th century basilica; old marbles, columns and mosaics were reused. 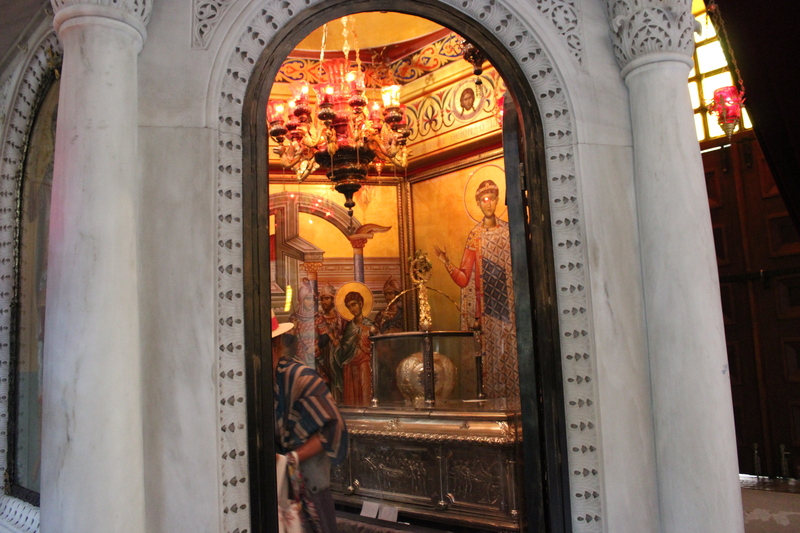 St Demetrius was martyred during the persecution of Diocletian and Galerius in AD 303. 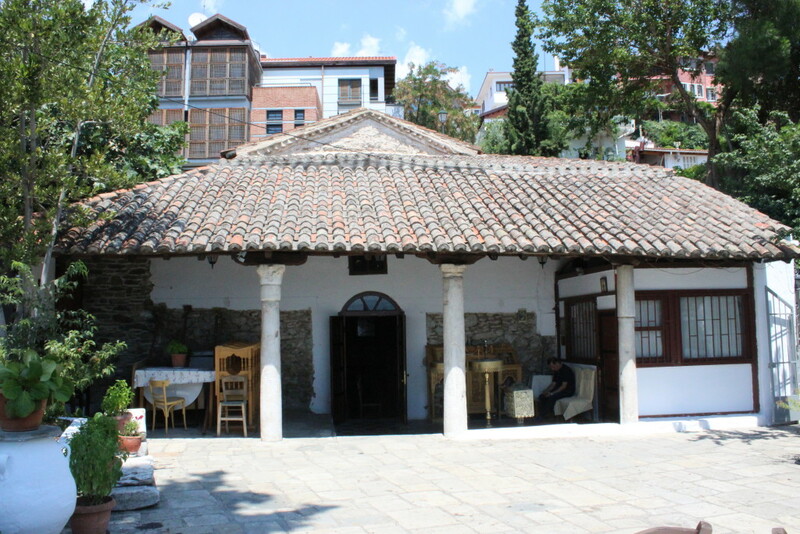 Later, when Christianity was recognized as the official religion of the empire, a small church for St Demetrius was built on the site of his martyrdom. Thank you for visiting the Byzantine Thessaloniki with me!